When I first met Esther, she was one the happiest girls in the orphanage. 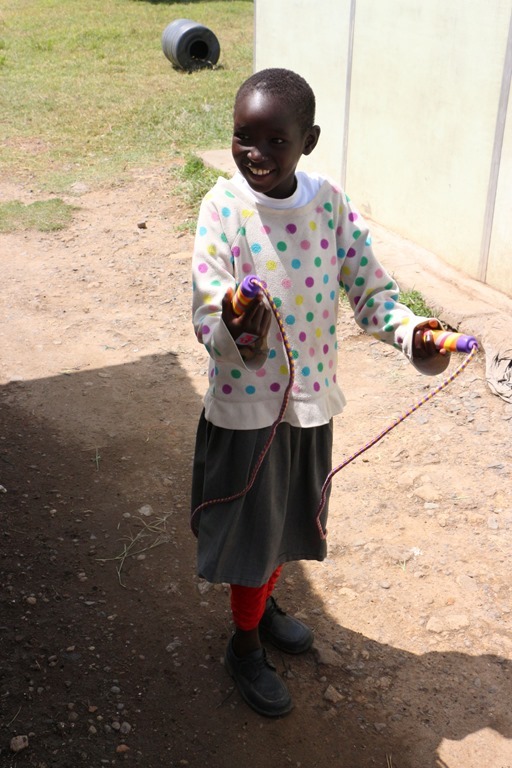 She loved to jump rope and play games. I always looked forward to seeing her smile. She was a normal, happy, healthy child. But there was something inside her that couldn’t be seen with the eye. Esther is HIV positive. For years she was strong and her life seemed so normal. Then as the end of 2012 approached, it was time to say goodbye to Esther and the other kids for 6 months while Abby and I returned home to the States for a furlough. 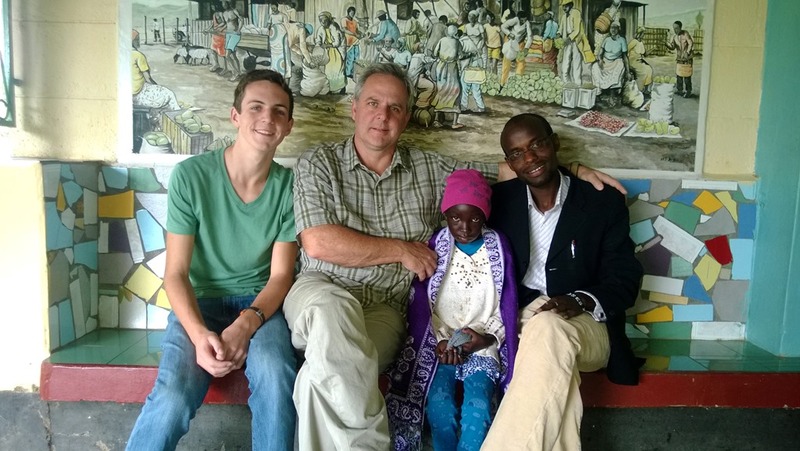 When we returned to Kenya in May, we were greeted by a different girl. Esther was weak and thin. She no longer smiled. In fact, she would barely look at anyone. There was still a glimpse of the old Esther if you pulled out a jump rope. She was in there somewhere but rarely came out. You see, during the 6 months while we were away, someone decided that it was better to put a few dollars in their pockets than to buy Esther the fruits and other supplemental foods that had given her body strength to fight. It makes me so angry to think about it. Esther had dwindled to nothing in a few short months. This healthy girl was now so weak and fragile. The terrible disease inside her had been set free. At this point my anger turns to tears. 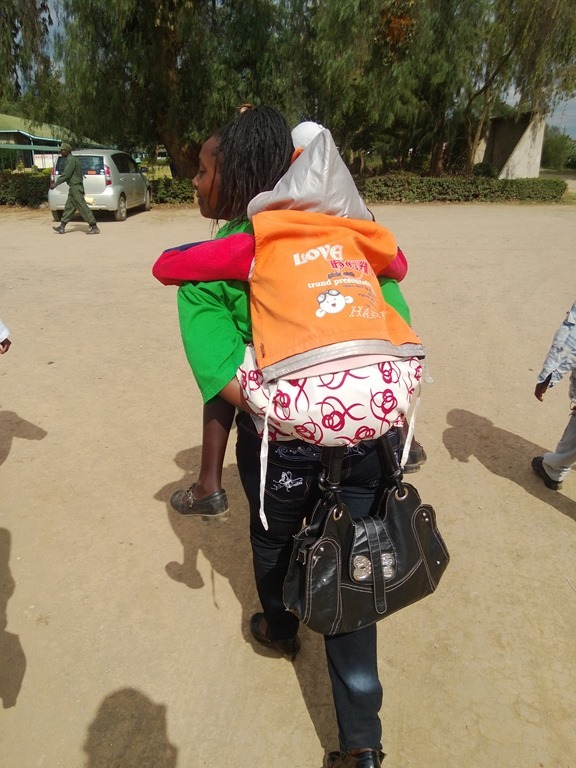 We put her on ARVs to help her body fight and made major changes in the leadership of the orphanage. Most of all we prayed. I was so hopeful for Esther, but then she got sick. What first seemed like a simple cold quickly turned to full blown tuberculosis in this tiny 11 year old. She was so weak that when I arrived at the hospital, Sophia, one of the new caretakers, had to carry her on her back. She was admitted to the children’s ward and slowly recovered, but after a couple weeks she relapsed. This time it was bad. The doctors gave her 2 months to live and sent her home to die. Again the emotions flowed. Anger at those who neglected her, how flippantly they treated a precious life for personal gain. Tears at watching such a sweet child suffer. Hopelessness knowing how pointless her death would be. In the eyes of many people here, it was time to just leave Esther alone and let her go, but that was not good enough. My thoughts tuned to the Make a Wish Foundation. Sure we were never going to be able give her a private vacation to Disney World, but there had to be something to bring joy to her remaining days. It was also time to get in touch with her remaining extended family. I am so thankful to those who helped. We sat outside Esther’s family home with her older siblings and other family explaining that they needed to go visit Esther before she dies. They were all very gracious and one believed in Jesus for hope and salvation. I wrote a couple people who knew Esther about my idea to make do whatever we could to make her life happy during her remaining time. Our friends at the Tin Roof Society reached out. They had just spent time with her the month before while they were over here building a church. They told us to do whatever it takes and they will figure out how to raise the money. They also encouraged me to get a second consult on Esther’s health. Through asking around, I found the the best place to take Esther was a Catholic medical center just next to us called Huruma. The main part of their facility is a hospice care center, but they also have an outpatient wing for HIV/AIDS testing, dental, and physiotherapy. This may sound like a weird combination but they basically focus on areas where there is the most need, either people aren’t doing it or aren’t doing it well. 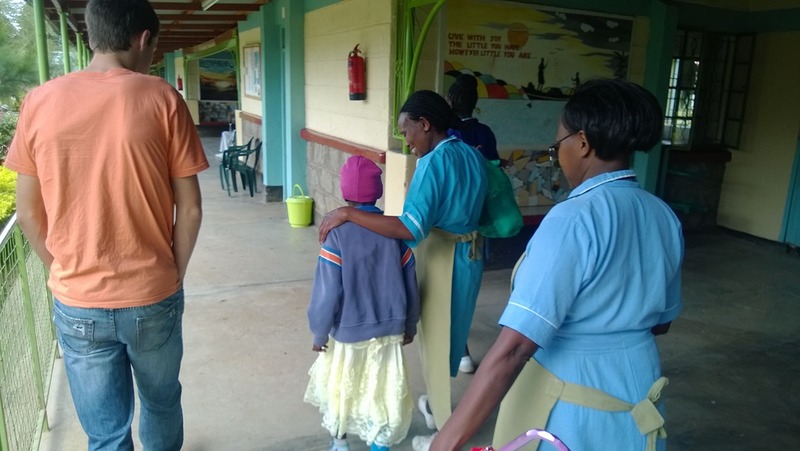 At Huruma, the hospice care is primarily for the elderly. They do not admit children, but since they have an orphanage just next door, they have made exceptions in the past for a few orphans. After meeting with Sister Lucia, the head of the hospital, they agreed to take Esther in. Esther really thrived at Huruma. She was very popular among patients and nurses alike. One of the nurses, who lives on the property, took Esther in to her own home to live instead of her having to stay in the ward. They brought her fruits and toys, and Esther loved to draw pictures for them. They even bought her an umbrella with their own money when they heard that Esther had always wanted one. I really could not be more impressed with Huruma. Esther was also gaining back her strength. Every day she was a little stronger, and she was coming out of her shell and communicating better. She would greet people and answer questions. At the beginning she couldn’t even say if she wanted something. It was so encouraging to see her open up to some of the nurses and make friends. After 2 months there was such a remarkable improvement. The signs of her trauma were still very real, but she had improved enough to tell us what she really wanted. Esther told us that she wanted to go home and be with the other orphans, especially Evon. 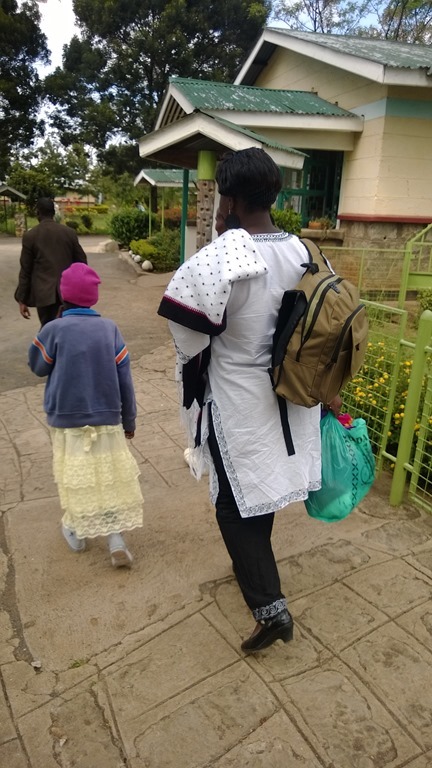 The doctors at the government hospital gave her 2 months to live, and now after 2 months at Huruma, she is ready to live a normal life again. Only God knows how much time Esther has left, but with proper care and a little luck avoiding other infections, she could easily live to be an adult. She goes back to Huruma every month for a checkup. We have looked into different options for Esther. We approached another orphanage that only takes in HIV positive children about accepting her in, but they have been slow to respond. Plus I would hate to pull her away from the other kids in the home who are like brothers and sisters. The big problem she faces now is the long walk to school. It is easy for a healthy kid, but Esther is still very weak. School just started back up and we have already had to talk with the principal because they punished her for showing up late. We are are considering moving her to our other orphanage. It is a boys only home, but there is someone there who could give her one on one attention, and the church has a school on the compound. Please join us in prayer as Esther continues to recover and gain back her strength. Also, that we could make the best decisions for her future. A huge thank you to the Tin Roof Society for their support in covering all of Esther’s medical expenses.